When you went to vacations alone or with your partner and friends, you could allow yourself a sense of adventure and go with the flow. Once your vacations turn into family vacations, taking care of your kids will be the only adventure you’ll need. What’s more, packing lightly is not an option anymore, especially since your number of essentials will undoubtedly get bigger. 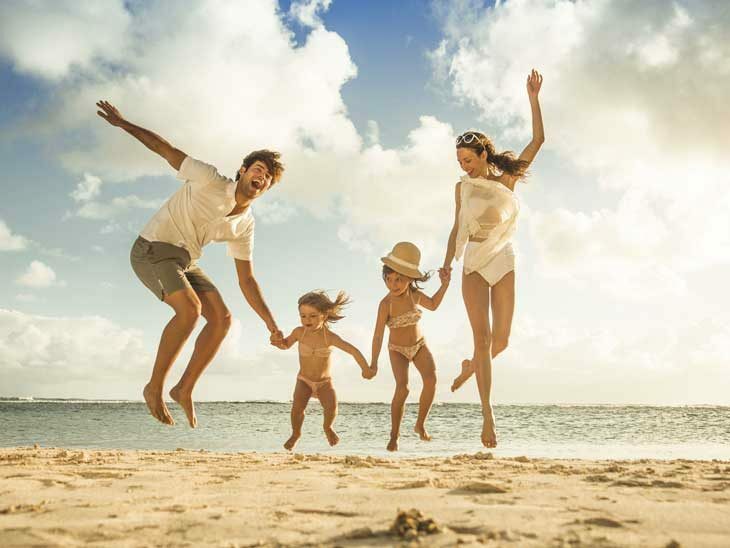 In order to spend your family vacation in the best way possible, check out the following must haves that should be some of the first things you prepare for packing. When going on a summer vacation as a family, you will definitely need to think about skin protection. You and your spouse might have different skin types and therefore need to take different kinds of sunscreen. Moreover, there are special sunscreens for children. On top of that, you might want to check whether you need to bring separate sunscreens for face and body as well as after sun lotions that would soothe and calm the skin for your whole family. A whole family needs more space on the beach and therefore you have to carefully pick your beach towels. You can go for one really big towel, large enough for everyone, or pack separate towels for every family member. Also, if the place you’re staying at doesn’t rent sun umbrellas it would be your duty to bring one or at least prepare yourself to buy one. Sunrays can be really dangerous, even with the help of sunscreen, and your family needs to have an adequate cover from the sun. Children aren’t very careful when they have a lot of fun and they often fall down, scrap their elbows and knees, get a cut, a bruise or an insect bite. Therefore, stock your first aid kit with sanitizing products, enough band-aid and even bandages and various ointments that would help the wound heal or soothe the irritated skin. Keep your first aid kit in your handbag at all times. In order to survive the trip to your vacation destination and also some of the moments when your kids express boredom, you should pack their favorite toys and games to keep them busy, happy and engaged. That way they won’t be cranky too often and they’ll be able to enjoy themselves while leaving you to relax. Check out a reasonable swimwear sale right before you start packing, because you want to make sure that everyone in your family has at least one extra swimsuit. Sometimes, the weather can be tricky, which can make it difficult for a swimsuit to dry properly. You don’t want anyone in your family to have to put on a damp swimsuit and catch a cold. If no one in your family has any food allergies or isn’t picky about their food you can consider yourself lucky, since you’ll be able to dine at the restaurants. But, unfortunately, this is not usually the case. Therefore, packing some food containers and preparing to cook, even when on vacation, is an unavoidable option. In order to provide your kids with a good meal when they’re on a beach you have to bring the food with you and food containers can prevent spilling and keep it fresh a bit longer. Also, make sure you have a large beach bag, because apart from food containers and other stuff, you would need enough space for some water bottles, too. Try not to feel too pressured about your family vacation or you won’t be able to enjoy yourself. Even though it can be difficult to look after the whole family on vacation, if you do a thorough preparation, pack all the must haves and keep your cool, you’ll definitely be able to have some great fun with everyone. Peter Minkoff is a writing enthusiast and travel writer for Voice Boks magazine living in Brisbane and occasionally in Cardiff. Beside writing and travelling he loves cooking exotic meals and making DIY cosmetics. His plans for future are to visit and discover Northern UK’s hidden gems. Have we missed a must have when going on a family vacation? Please fill in via email, in the comments below, on Twitter, Facebook or Google+.